On July 26, 1943, Mick was born. Eight decades later, he is still singing and writing songs for the greatest and oldest rock and roll band in the world. If you don't know which band I'm talking about, please close this window and leave your house for the first time in your life. 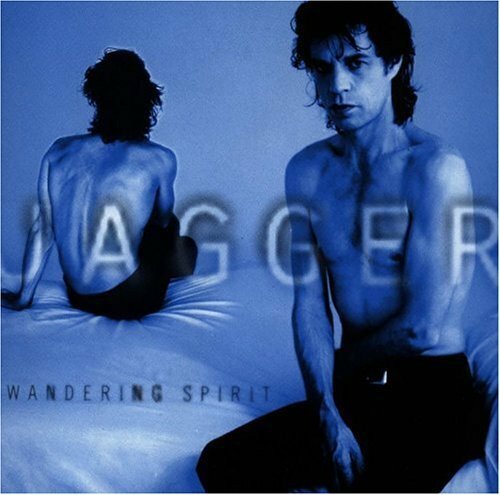 With or without the Stones, there's a fact: whenever I see Jagger's face on a magazine or TV, I think of Wandering Spirit; his most personal record to date, beautifully recorded by Rick Rubin celebrating Jagger's first half century. If you remove the name Mick Jagger out of the equation, It was also a cathartic and sensitive album about the blues of a lonely man. 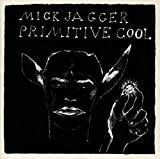 Nevertheless, what kind of blues a man like Mick Jagger could possibly have; a blues strong enough to record an album like this? Mick Jagger is an icon by himself and with the Rolling Stones. He has the kind of life 99% of the occidental heterosexual male population want to have: wake up, exercise, travel, eat the finest food at the finest restaurants, sing your own songs and have the audience singing them with you, get paid for this job, meet presidents, kings, queens, artists and beautiful women -so many women you forget their names and don't care a bit about child support when a hot supermodel comes to you pregnant and says "it's your child I'm carrying". OK, it's not 99% of heterosexual males; it's 99.99%. Wandering Spirit tells us that, even when he's a super-cool guy, sometimes a man gets the feeling that he's alone and bored. But here's the thing, and the problem other Rolling Stones songs have: we don't care about Jagger's blues, we just want to live his life! Again, let's remove the money and fame Jagger has and we will find a great rock and roll record and, comparing it with the Stones records released since 1989, way superior to them. For instance, there's "Put Me in The Trash," a rock and roll number about a former millionaire who's calling her ex-girlfriend for a loan. He bought her shoes, a Ferrari and tickets to the Opera. Now he's asking for some dough. What could have happened? He wasted his money on parties, alcohol, drugs and women. He realized he should have saved some money in the bank for leaner times. The greatest moment comes when Lenny Kravitz and Red Hot Chili Pepper's Flea join Mick to pay tribute to Bill Withers with his "Use Me". Jagger also sings Lowman Pauling's "Think" as a tribute to James Brown, I suppose. So the dues are paid here. The album closes with an Irish violin and Mick singing "Handsome Molly," leaving the listener with the feeling that the singer was alone from the very beginning and it will be the same at the end. Jagger did something he never did before even with the Stones, releasing his album the same day as a Beatle released his (Paul McCartney's Off The Ground hit the streets on February 9th, 1993), breaking the old rule that kept Beatles and Stones separated with their respective parts of the music market. McCartney did not care, for sure. In 1993 CD sales were at the top of their game (remember, this was the year of Nirvana's In Utero and Pearl Jam's Vs.) and there were CD buyers with money in their pockets for all of them. Anyways, Paul and Mick are millionaires so even if their records did not sell more than 10 copies, they would not starve. You can get this forgotten treasure used for less than 4 bucks on Amazon.com Z-shops; so for a small price you can prove that I am being honest. This was an outstanding record, comparable with Stones productions like Some Girls, Tattoo You and Emotional Rescue. Goddess at The Doorway (Virgin, 2001): Rolling Stone Magazine rated this album as classical (5 stars). It's OK, but Wandering is better, way better. Primitive Cool (Atlantic, 1987): Do people actually remember "Let's Work"? It was a great radio tune! She's The Boss (Atlantic, 1985): A hard woman to please, Mick's debut was pretty decent. And the Entire Rolling Stones catalog.